Crosman Semi-Automatic CO2 BB Pistol | BUDK.com - Knives & Swords At The Lowest Prices! 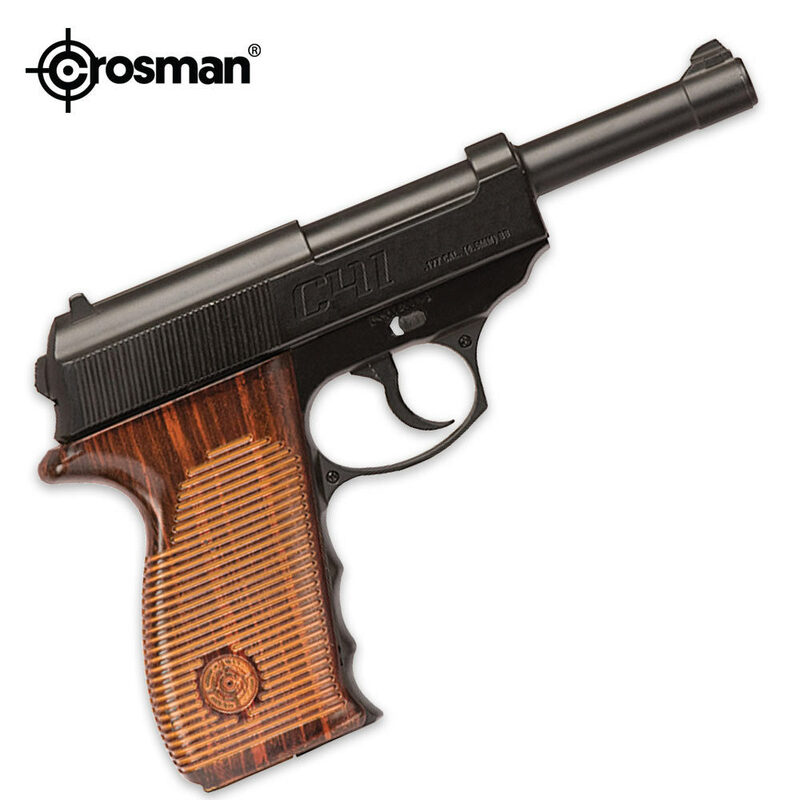 The new Crosman C41 BB pistol adds to Crosman’s growing line of Co2 powered BB pistols. Modeled after the Beretta M1935 with barrel extension, the C41 is appealing to both collectors and shooting enthusiasts. Using a fixed slide, it allows all of the Co2 to go directly into propelling the BB down its smooth bore barrel, giving you accurate and powerful shots.